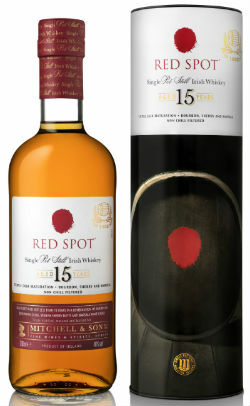 After an absence of 50 years, Red Spot has returned to the Irish whiskey scene. The brand, along with the other ‘Spot’ whiskeys, was introduced in the early 1900s by the Mitchell family, a wine and confectionary merchants in Dublin. After emptying the wine casks, they would have them filled with new make at the Jameson distillery and mark their potential length of maturation with a spot of coloured paint on the cask end; blue paint indicated 7 years, green paint was 10, yellow was 12 and red was 15. 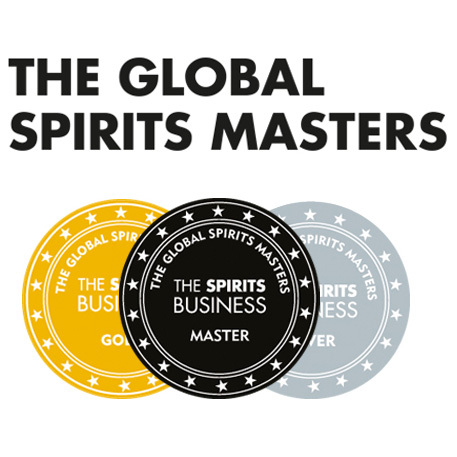 The Spot whiskeys died out in the 1960s but have been gradually reintroduced over the last few years, with Green Spot re-launching in the early 2000s and Yellow Spot 12yo coming back in 2012. 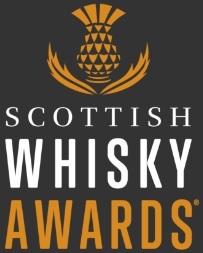 With the release of Red Spot 15yo, a triple distilled single pot still whiskey which has been matured in a combination of bourbon, oloroso sherry and marsala wine casks, all that remains to be recreated is Blue Spot, which we may well see in the next few years. 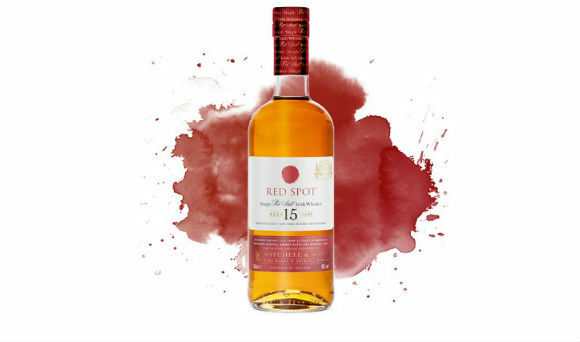 Red Spot has been available in the home market since November, and is due to be rolled out to the UK, US, France and global travel retail later this month. I’ve long enjoyed single pot still Irish whiskey, and have said several nice things about recent Green Spot variants, so let’s see what the oldest of the range has to offer. Nose: Crisp malt to begin, along with sawdust powder and sugared Shreddies. Then the fruit; classic wine gum/fruit pastille sweetness, with baked apple, fruit teas, yoghurt coated bananas, and stewed rhubarb and apricot. There’s a lemon, ginger, and white pepper note which really lifts everything. Palate: Up front fruit; strawberry mousse, raspberries, red currants, orange blossom, papaya and lychee. Then a Custard Cream note, along with golden syrup, gentle oak and a hint of honey. Finish: Earthier notes emerge, gentle mulled wine spices, the oak gets firmer and there’s a cherry and sultana loaf sweetness. Overall: Very, very impressive. It has everything I like about single pot still whiskey; loads of fruitiness, refined oak notes and a crisp, malty backbone I find inherent in this type of whiskey. The oloroso and marsala cask influence is present, but no more than that. It would be easy to overwhelm the spirit with such brutish casks, but the balance is wonderful. Really excellent stuff. This entry was posted	on Wednesday, January 23rd, 2019 at 9:51 am	and is filed under Reviews. You can follow any responses to this entry through the RSS 2.0 feed. You can leave a response, or trackback from your own site.